Teaching your children how to brush their teeth correctly at a young age is important in helping to ensure lifelong good oral hygiene. According to the Australian Dental Association, children are around eight before they have the developmental skills to clean their teeth properly. Until then, parental help and guidance for teeth cleaning is critical. You can obtain assistance from your family dentist in Ryde or elsewhere to ensure you are up-to-date on the best teeth cleaning practices. Then it’s all about starting early, and encouraging your children to clean their teeth by making the whole process fun. 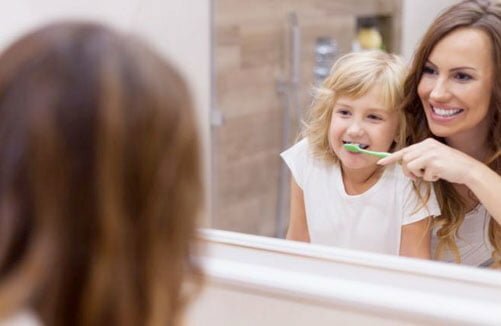 Here are eight tips to get your children willingly brushing their teeth. 1. Make up a ditty or song that you sing as you walk to the bathroom. 2. Let your child choose their own toothbrush, within the parameters of what is suitable for them. There are lots to choose from, across all budgets, ranging from those featuring colourful characters to musical or battery-powered toothbrushes. Take your child to the supermarket, chemist or dentist to choose the toothbrush. This will help them to have a feeling of ownership over the process. 3. Your child, with some guidance from you, can also choose their toothpaste. Be prepared though and do your research first. Speak with your dentist about the age your child should start using toothpaste, and the recommended brands. 4. Young children love to be involved in an activity, so consider buying two toothbrushes. You can do the real clean, while your child holds their brush and waits for their turn. 5. Practising tooth cleaning on a favourite teddy bear or doll, albeit without the toothpaste, can keep your child involved and learning. 6. Do you clean your dog’s teeth? Let your child watch so that they understand the importance of teeth cleaning to both dogs and people. 7. Play a favourite song each time you clean your child’s teeth. Choose a song of approximately two minutes duration. 8. A little incentive is also useful, particularly if your child finds teeth cleaning a challenging process. Develop a star chart and give your child a gold star each time they behave appropriately. Alternatively, the promise of a story or a walk to the park can work wonders. Teaching your children good oral hygiene skills is an investment in a healthy future, and it doesn’t have to be difficult. Make teeth cleaning a fun routine, and your child will reap the benefits for life.